I'd like to water the garden controlled by Onion Omega 2+. The plan is to control solenoid valves to water different areas with necessary quantity. Currently, I'm able to control 8 relays via the Omega console, which means I could control the valves. Next, I'm going to write a Python script to switch the relays. At first, I'll just schedule it using a cron-job. Question: Should I put 1kOhm resistors between Omegas GPIO's and the relay control inputs to protect the Omega against current peaks? Up to now it has been 2 hours of great fun! I'm using the DIGITEN G1" Water Flow Hall Effect Sensor Switch Flow Meter Flowmeter Counter 1-60L/min from Amazon for $10.99. Threads aren't exactly NPT, but if you need NPT, you can cut them easily by cutting channels in a female NPT connector and threading it on. You can get accurate flow by measuring time between pulses and accurate measure by counting pulses. It needs 5V to operate but doesn't output 5V. It might be a could idea to use a diode to protect the Omega input, although it probably isn't needed. I switched to the Arduino Dock. Do I get the documentation right, that most of the GPIOs aren't available because they are used to communicate with the "Arduino"? Omega2(+) is acessing the inside flash via the hardware SPI pins, these pins are not used by the Arduino Dock 2 (the on board ATmega328P). If you do not want to communicate serially with Arduino via UART1 then RX1 and TX1 are free. 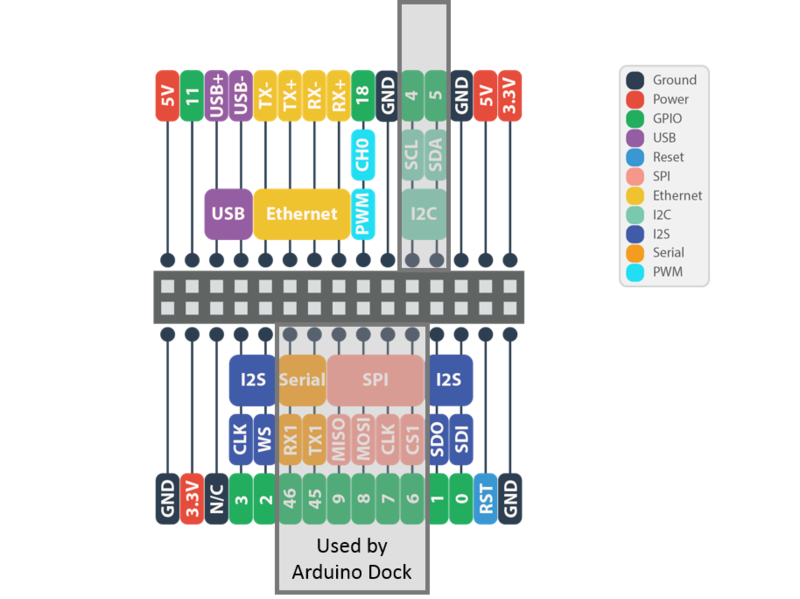 The GPIO15, GPIO16 and GPIO17 pins are in use only if Omega2(+) programms (ie uploads a sketch) the ATmega328P. So you could use these pins via the on board bidirectional level shifter at 5V logic level on the Arduino Dock 2. I got little further, see Github Repo. Wrote setup.sh to setup multiplexed GPIOs. Which is a little bit a shoot in the dark. I find it difficult to turn from GPIO Groups to GPIO Numbers to use. Thanks, György I also use GPIO 45 and 46 now. Problem: Omega 2+ won't boot if a relay control pin is connected to GPIO 1. Wrote a Valve class to control the relay (and open the valves) and a little script to test/play with the relais. I'd love to get comments! PS: How to add code with highlighting and indention here? Blocks of code are fenced by lines with three back-ticks ``` in Markdown. btw. is there any project going on to write a Ruby wrapper for GPIO interaction? I went ahead in Ruby and found myself writing a 'wrapper' to switch my valves (basically GPIO's). I could contribute if there is any project.